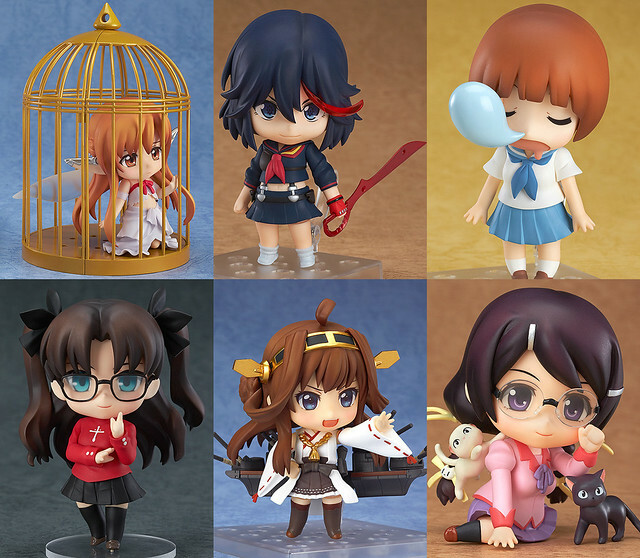 Here is another recap of Nendoroids announced on March 2014 with the Kill La Kill Nendoroid pair as the highlight. Considering the high profile Nendoroids being announced for March, which Nendoroid goes into the top of your priority list? This entry was posted in News and tagged nendoroid. Mako and Ryuuko are definitely at the top of my list. I have already pre-ordered Mako and as soon as I get paid, Ryuuko is next. I am however, a bit disappointed at how simplistic their interface and parts are. Perhaps hoping for a Kamui -released- version of Ryuuko is too much? A Mako in her Goku uniform? Not to mention the fact that every expression and pose it seems, came from the first ten episodes only.